Saxophonist and composer Nathan Bellott is regarded by many as one of the great alto saxophone sounds of his generation, drawing influence from artists such as Bird, Charles McPherson, Phil Woods, Jackie Maclean, David Binney and Jon Gordon. 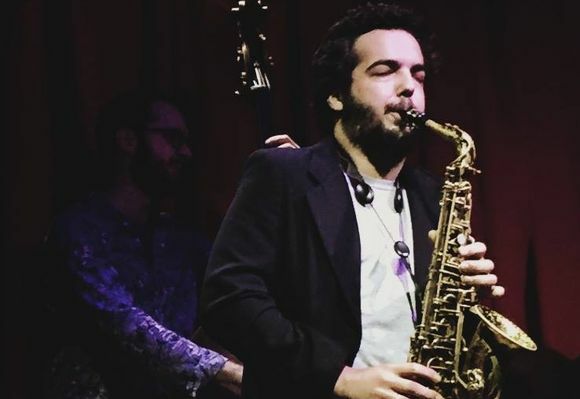 From 2014-2018 he worked with his mentor, Hal Galper as a member of the "Youngblood's Quartet" which released a critically-acclaimed album on the Origin label in 2017 "Live at The COTA Jazz Fest." From 2013-2016 he was fortunate to work with jazz legend Charli Persip's SUPERSOUND big band. Known for his musicianship, he is a first call for big bands as well as small groups in the NYC area. Groups he performs regularly with include Bobby Sanabria's Multiverse Big Band, the Birdland Big Band, Valery Ponomarev, Stan Rubin, Evan Sherman, George Gee as well as his own ensembles. Releases as a sideman in 2018 include projects by drummer Juan Camilo Sanchez and guitarist Paul Jubong Lee featuring Mark Ferber. His studies include work with Jon Gordon, Jaleel Shaw, Hal Galper, Steve Wilson, Dave Liebman, Mark Shim, David Binney, Dan Weiss, Jon Irabagon, Jacob Sacks, Pete Malinverni, Bob Mover and others. He has performed at many of the great venues including Carnegie Hall, The Kimmel Center, Symphony Space, Smalls, Zinc Bar, National Sawdust, The Painted Bride, Joe's Pub, and many others worldwide.